Zackmans Journey: Short week indeed!!!! 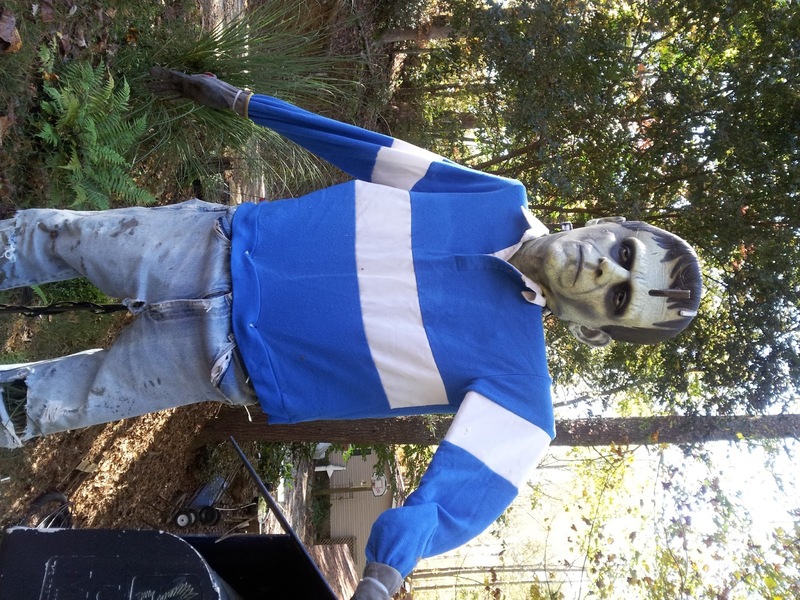 Frank had spent most of last weeks "free" time decorating the water feature (our biggest form of advertising) for Halloween. 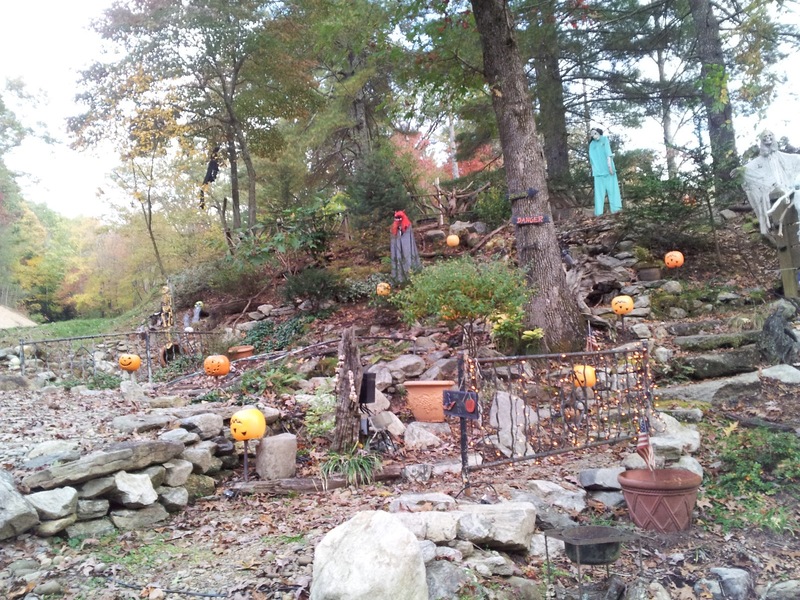 It is so much fun to come home and see the orange pumpkin lights, ghouls, goblins and ghosts. 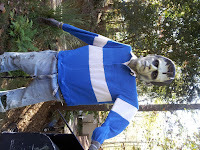 The best part (which kind of freaked me out at first) was the Frankenstein blue jean clad figure standing next to the mailbox. This is one of Frank's favorite "holidays" and seeing all the decorations reminds me of happier, less crazy times when life was simpler. Having those memories and seeing that he took the time to decorate does my heart good. It is good therapy for us all! What a wonderful day! We were able to sleep in late (okay 8 am is late for us). Zack's appointment wasn't until 1pm ,so we were able to take our time, have a leisure breakfast and relax before heading out. We arrive just in time for our appointment, Angie gives Zack his Neulasta shot, takes blood and within one hour we were sent on our way. His counts were well enough for us not to have to return until Friday. On Friday, we are to go to the clinic, have his blood work done to make sure he doesn't need a transfusion then head downstairs to Radiology and take care of radiation prep which will begin on Monday (a total of 25 - 28 visits), once they are done, we were advised it would take about an hour, we head back upstairs for a couple more tests to check his blood for clots. The bottom line, "we" will be off on Wednesday and Thursday. Zack will stay at home and get all of his homework caught up, Frank and I will be at work and once the days are over, enjoy nice home cooked meals and relax. Zack and I went out to a wonderful lunch together, went to Staples to buy a new chair for his room (he sat in his, reclined and ended up with a broken chair) , then went to the Aldi to buy groceries. By this time Zack was tired and it was in his best interest not to be around a lot of people in the grocery store. I wrapped up shopping in about 30 minutes and we headed for home, right in the middle of five o'clock traffic. We arrived back home in time for him to run up to hang out with his friends for a couple of hours and Frank and I to have a little quiet time. The continued Love and support we feel is overwhelming. 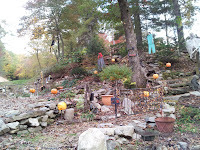 My phone rings, buzzes and dings off the hook with texts, emails and messages of support. We feel the Love!! !